Giving what a phenomenal game 2016’s Hitman was, it’s likely that millions of Hitman fans worldwide are anxiously waiting for its sequel, which will be hitting shelves on November 13, 2018. And Hitman 2 looks likely to offer the same detailed locations and sandbox gameplay as the 2016 game, while also being a challenging experience for both newcomers and Hitman pros as well. Actually, developer IO Interactive recently revealed the different difficulty levels the game will offer players when it ships next month. The game will ship with Casual, Professional and Master difficulty levels, giving players a different level of challenge depending on their skill and experience with the Hitman games. 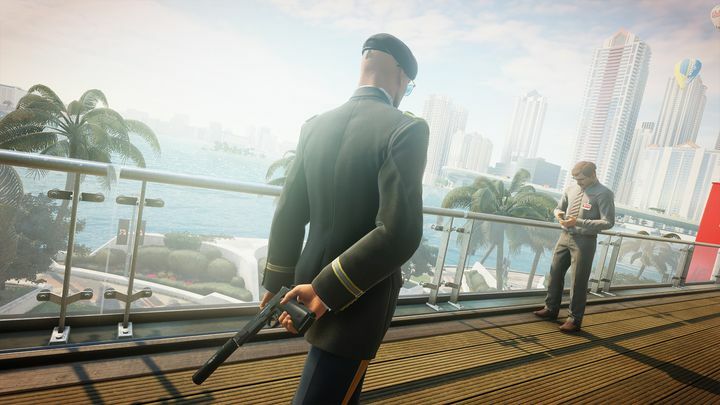 By comparison 2016’s Hitman only had one difficulty level at launch, with Professional difficulty being added in a subsequent patch. And given that Professional is the default difficulty level here, it’s likely this will be harder than the earlier game overall when it ships in November. According to IO, Professional difficulty is “balanced to give players a feeling of being a true assassin, using all of the game’s intricate mechanics together with their ingenuity to assassinate their targets”. Meanwhile, Master difficulty will be more challenging with “extremely hard” combat and more difficult stealth gameplay too. Of course, beginners can pick casual difficulty and learn the ropes without fear of screwing things up quickly. It remains to be seen, though, whether Hitman 2’s gameplay and settings will be able to top those of the 2016 game, which was pretty great by most accounts. The settings we’ve seen so far, a Miami race track level and a Colombian jungle do look promising though. Here’s hoping this proves to be a worthy sequel and turns out to be one of the year’s top games too when it ships next month then. Note: Hitman 2 will be released on November 13, 2018. Available on PS4, Xbox One and PC.